- Helps in keeping check on Daily Intake of Water, Sugar, Salt etc recommended by doctor to keep check on Diabetes. - Set daily target of activity to control sugar level. 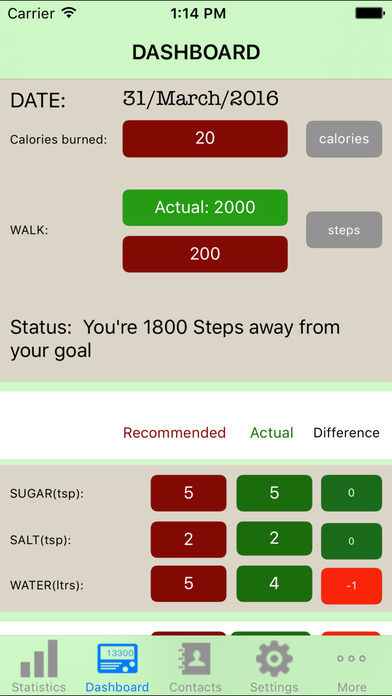 - Automatically calculates Steps and Calories for a day to keep you healthy. - Keeps history of daily data for a week so you can compare and improve your activity. - Motivates you to improve the health by keeping eye on daily statistics.